As Glen Hansard stood at the edge of the Chicago Theatre's stage, singing the first lines of "Grace Beneath the Pines" completely unplugged to a sold-out audience, I knew we were in for a mesmerizing evening. The concert tickets were my gift to Ben for his birthday, but it was one of those self-serving gifts because I benefited as well. Talented singer, songwriter and musician all rolled into one, Glen Hansard is one of the finest performers I have ever had the pleasure to see live (twice!) and yet, his concerts don't feel like a performance; I left the theatre feeling like I had just spent two-and-a-half hours at a local pub with a good friend. Having already seen Glen (I can't bring myself to follow professional writing etiquette and refer to him by his last name — it feels way too formal after having just "hung out" with him Saturday night!) 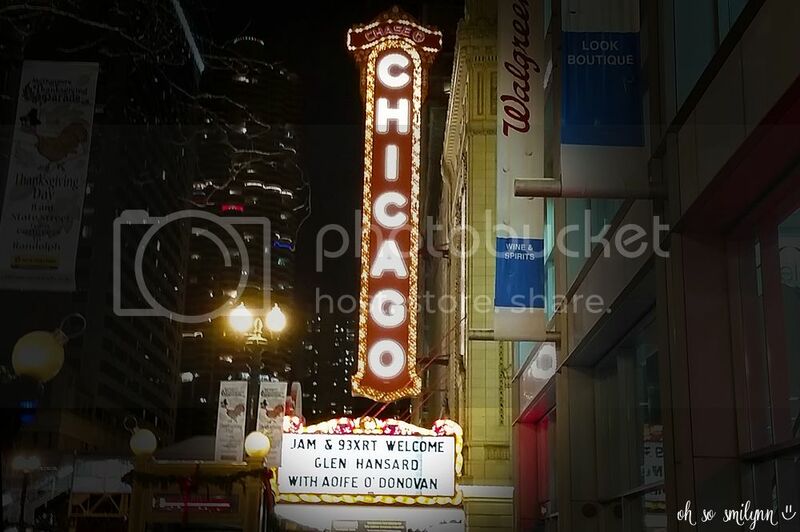 perform this past February in Bloomington, Indiana, it is hard for me not to compare the two concerts. Comparing does not mean that one show comes out a winner and the other a loser, though; neither show can been deemed better than the other, but rather, they each serve as an example of his dynamic range. The show in February was a bit more stripped-down and intimate, qualities probably largely influenced by the smaller venue. And yet, at this past weekend's show, even with a nine-piece band, there was still an intimacy he shared with the audience. He plays with such an undeniable passion for his craft that it feels like he's exposing part of his soul as he plays. And as he shares the inspiration and personal experiences behind his songs, you know the down-to-earth personality you're seeing is sincere and not part of an act. We had a chance to meet him after the show in February, and that experience only further solidified the fact that what you see on stage is genuine. Ignore our faces; we were excited and they were partially frozen that way because we waited for an hour in 19-degree temperature... 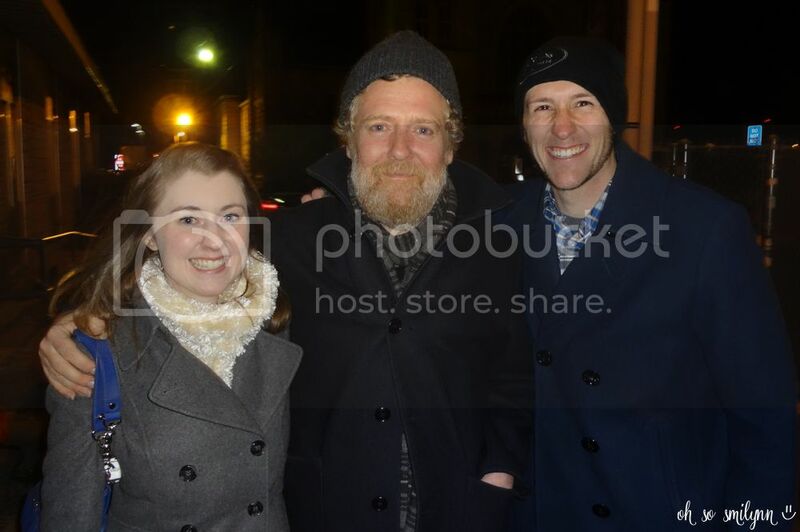 BUT WE MET GLEN HANSARD! Grace Beneath the Pines - With lyrics that I can identify with, this track was already my favorite from the new album, but hearing it performed live was such a stirring experience. Most concerts I've been to start with a loud bang and steadily lower to a simmer, but Glen's approach of beginning quietly and thoughtfully unplugged, with the band falling in behind him one-by-one was so jarringly and hauntingly different. Astral Weeks - I'll admit, outside of Glen's concerts, I had never heard this song, and it wasn't until I looked it up that I found out it's a Van Morrison cover. Regardless, he shines as a guitarist on this cover, and I have no idea how someone can play as intensely and passionately as he does on this particular song without passing out. McCormack's Wall - Another of my favorites from his new album, this song allowed Glen to trade his guitar for the piano. The accompanying violin adds an air of nostalgia as the story of the song's lyrics unfolds. Despite the apologetic nature of the tune, it ends in a buoyant Irish jig. Some people in the audience couldn't help but break out some fancy footwork. High Hope - This song has long been a favorite of mine from his first solo album, Rhythm and Repose, and I'm so glad it was included in this show. This Gift - Sometimes seeing and hearing a song performed live is what you need to really appreciate it. I've never had strong feelings one way or another about this particular song, but wow... the live performance was fabulous. Auld Triangle - This song just makes everyone proud of their Irish roots... even if they don't have any. Falling Slowly - Featured in the movie Once, this is perhaps the song for which Glen is most well-known (it did win an Academy Award, after all). Part of me wonders if he gets tired of playing it, but I really hope not. I don't care how cliche it may be, it's still one of my favorite songs, period. Her Mercy - Another track from his newest album, this song is a stunner live. 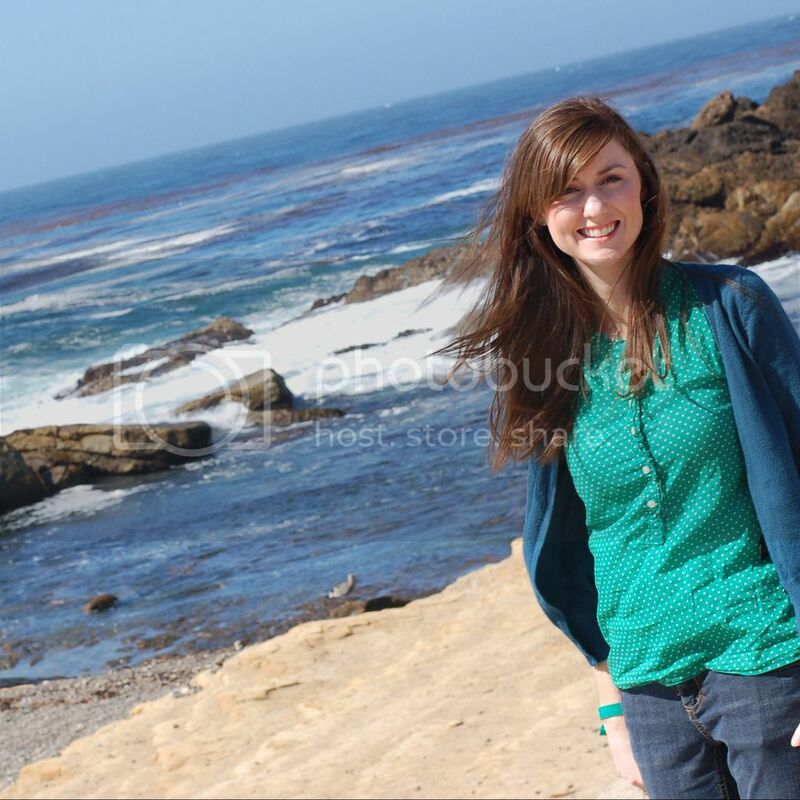 Hi, I'm Kimberly. I have a tendency to be socially awkward, but you get used to those quirks eventually. Gotta plan our trip to Ireland in December to go see him!